Honey one of the oldest sweeteners on earth and very surprisingly it has been used as a food, a medicine, and a beauty treatment since ancient times. I love honey very much and try to use it whenever I can either in my food or drinks or my homemade masks. So, Today here I'm going to share with you 10 uses of honey which are really my favorite. 1. Face Mask: Mix honey with plain yogurt and oatmeal. This face mask work as one of the best natural exfoliation face mask. This treat for all skin types. 2. Face Wash - Just mix it with some warm water and apply it your face. Leave it on for 5 mins and then wash off. For best results, apply every day. It is suitable for dry to Combination type skin. 3. Lip Balm - Mix a 1tb spoon of honey with a 1tb spoon of any petroleum jelly. Apply, it daily. It works great for extremally chapped and dry lips. 4. Fight Acne- Mix honey with cinnamon powder and just apply a dab of it on your pimples. Leave it overnight. By the morning, you will definitely see a reduction in redness or swelling of a pimple. 5. Weight Loss - Many people have benefited using it. Here's a little recipe for it. To 1 cup of warm water add 2tb spoon honey, the juice of 1 lemon, and a pinch of black pepper. Drink this everyday morning on an empty stomach. You'll see the results yourself. 6. Dandruff- Take some honey to a bowl and apply it directly to your scalp just the way you apply oil. Leave it on for an hour. Wash off. Apply it once a week. Or you can add some lemon juice to it. 7. 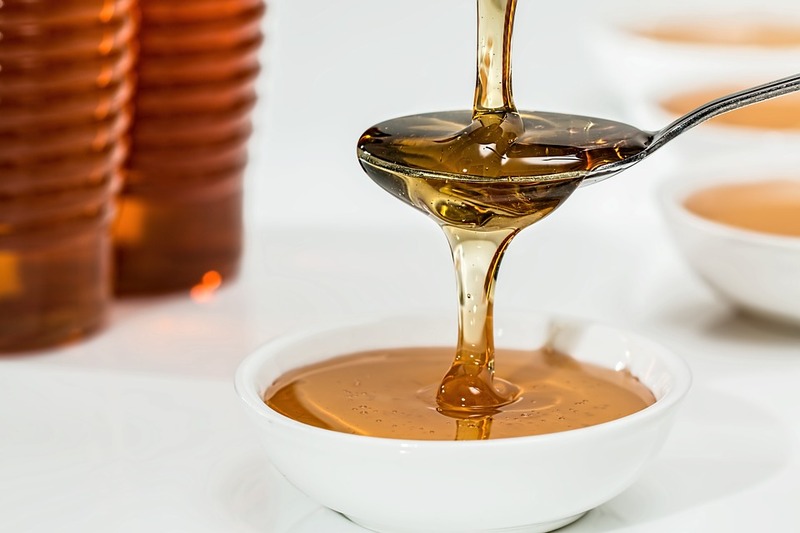 Cough Syrup- Honey is an effective cough suppressant and it also soothes a sore throat. It just has to be added to tea or warm lemon water or you can add honey with ginger juice and consumed. Take 2-3 times a day or as per your requirement. 8. Take fresh juice of one pomegranate and add one tablespoon of honey in it and consume every day in the morning on an empty stomach. This will take care of your heart. 9. 1-3 teaspoons honey with a glass of lukewarm water provides instant boosts your energy. 10. Honey works as a natural antiseptic. So honey can be used for heal wounds, cuts, scrapes, and burns.